lol this looks like a fun unit. Pilot: Prepare your lives, we are over the enemy base. Terrorist1: Finally this moment have come!!! Terrorist4: Wait!!!! WTF am I doing here o0?!?!? AaaaAAAaaAAAaa!!!! GLA is arabian, but even EA didn't mention Islam in the game. yes and on the bomb truck he shouts ALLAH!!!!! An interesting note though, in WorldBuilder, the church and mosque objects there are named 'TownHalls', while the minarets are 'WatchTowers'. they are still extremists, which is forbidden in islam... so that solves that. haha that pic is just so cool. They don't fall like that in-game though. They tumble every which way once dropped from the Demo Duster. terorist 4: OH no!!!!!!!!!! i scare of high place! i don't want to die! sir please for not disturb our religion , don't insult moslem , i am moslem and i don't want from us do a troll comment . 72 VIRGINNZZZZZZ!!!! ALLAH AKBAAAARRRR!!! LMFAOOO!! Wait, actually, the Terrorist just need to throw their Bombed-Jacket down. be-cuz the reason whe the Terrorist suicide is mobility, but here, they just throw them down and it's the same to throw bomb. Funny Unit, though. 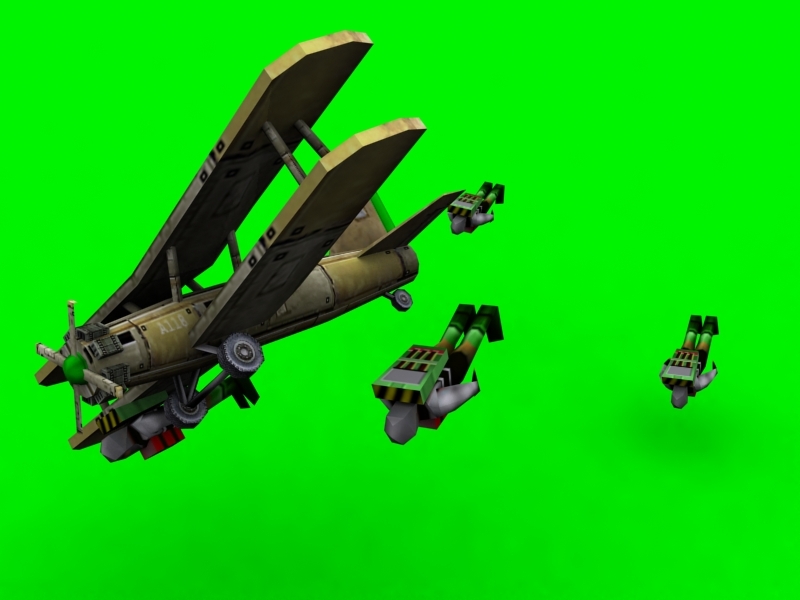 The Demo General's newest aircraft, the Demo Duster can bombard ground troops with four Terrorists, held under the wings of the Demo Duster. Can be upgraded with Junk Repair like all other GLA units.